Wade Wingler is the Vice President of Technology and Information Services and Security Officer at Easterseals Crossroads in Indianapolis. He is responsible for the agency's information technology program and assistive technology service lines. He began working as an assistive technology instructor at Easterseals Crossroads in 1993. He now oversees assistive technology services and the INDATA Project, a federally funded state-wide assistive technology program for the agency. 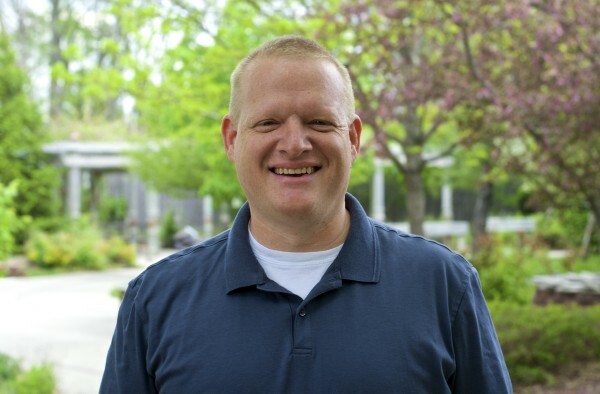 Wade did his undergraduate work at Butler University, holds an MBA from Indiana State University, is a RESNA Certified Assistive Technology Practitioner (ATP), and a Certified Ergonomics Assessment Specialist (CEAS). 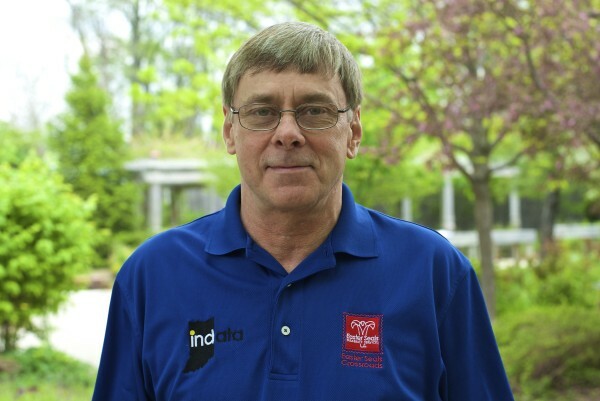 He is a well-known speaker at National and International Conferences, is an adjunct professor of assistive technology at Indiana University Purdue University in Indianapolis and Vincennes University. He is often a guest lecturer at other universities. He also hosts the popular internet radio program and podcast “Assistive Technology Update" which was listed #1 in its class by About.com. Wade is the past-chair of the Mayor’s Advisory Council on Disability—City of Indianapolis, the past-president of the Indiana Rehabilitation Association, and serves on a variety of advisory boards for organizations such as the national Association of Assistive Technology Act Programs, the Indiana Traumatic Brain Injury Board, The Human-Computer Interaction Department at the School of Informatics at Indiana University-Purdue University at Indianapolis, and Indiana Agrability/Breaking New Ground. Wade’s personal mission statement is “to be a great husband and father who educates the world about assistive technology.” When he isn’t at work or teaching, he enjoys spending time with his wife and three children and has also written two novels. Brian began his career at Easterseals Crossroads in 1997, and currently serves as the Director of Assistive Technology. 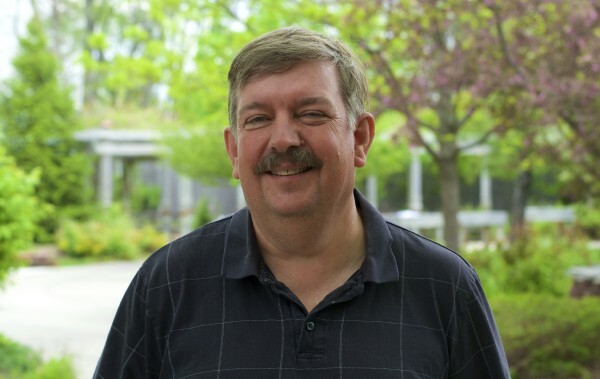 He is responsible for the day-to-day operations of Clinical Assistive Technology and the INDATA Project, a federally funded statewide assistive technology program for the agency. He utilizes his many years of experience to provide direction, leadership and training to a diverse and highly skilled team of AT specialists. 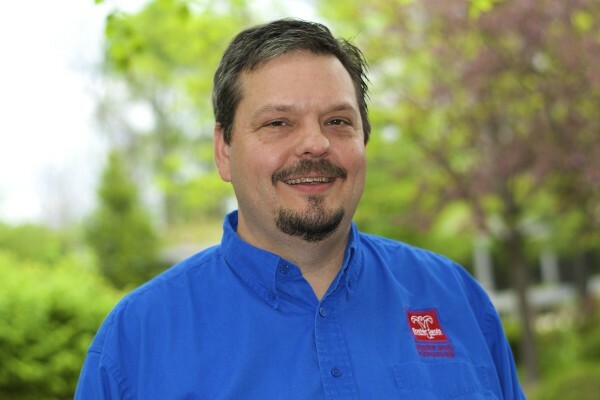 He holds a bachelor’s degree from Anderson University and is a RESNA-certified Assistive Technology Professional (ATP) and a Certified Ergonomic Assessment Specialist (CEAS). Brian hosts a podcast and radio show called “ATFAQ – Assistive Technology Frequently Asked Questions” and is an adjunct faculty member at Vincennes University. He is well known for his creative application of technology in the areas of job- and education-related accommodations. Brian’s personal mission is to “love his family well and to help people lead more independent and fulfilling lives through the use of Assistive Technology.” When he isn’t at work he enjoys time with his family, working in the yard, and watching/playing sports. Josh has worked at Easterseals Crossroads since 2011 in Employment Services and then moved to the Assistive Technology department. In 2016, he was promoted to the Manager of Clinical Assistive Technology. 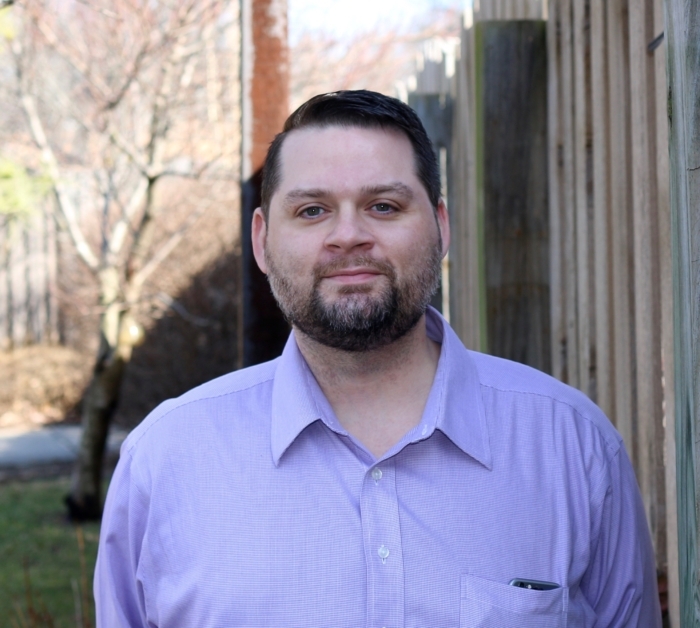 Josh holds a Bachelor's of Public Affairs in Nonprofit Management degree with a minor in Sociology and is a RESNA-certified Assistive Technology Professional (ATP). Josh is also a panelist on the podcast “ATFAQ – Assistive Technology Frequently Asked Questions”. Before coming to Crossroads, Josh worked for the university in the admissions department. 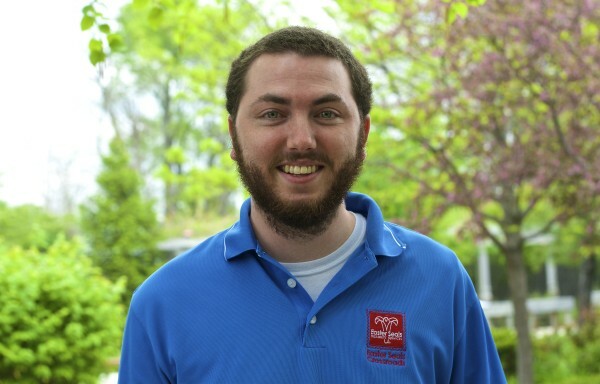 Josh has “always had a drive to help others achieve their goals and realize their full potential which led me to Easterseals Crossroads”. As an assistive technology specialist, he assists individuals with disabilities to achieve their goals in life with the assistance of technology. His goal is to help anyone he can when given the opportunity. Josh’s personal mission is to be the best he can be for his consumers, family and friends and to have a job that has meaning helping others. He strives to have fun in everything he tackles and makes the process enjoyable for all his consumers. When he is not at work, he enjoys camping, hiking, going to concerts and doing outside activities with his family. 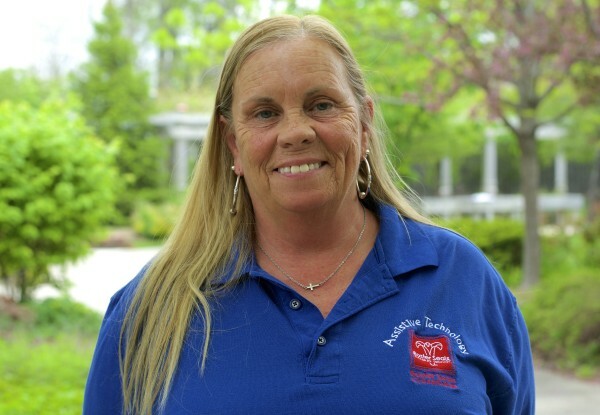 June started working as the Administrative Assistant for the department in February 2004. She works the morning shift on the switchboard for Easterseals Crossroads and then begins her duties for the assistive technology department. June is the friendly voice that is often the first you hear when you call the Assistive Technology Center. As the Administrative Assistance and the “super glue” that holds the department together, she is responsible for all administrative duties. June graduated from Arsenal Tech Day Adult in 1985 and proceeded to get her certificate form beauty college. June also went to trade school to be a Nurse Assistant. Her exceptional organizational skills and positive attitude assures that information flows smoothly in the department and consumer’s needs are met. She is well known for her easy going and courteous approach to assisting our consumers. Her personal mission is to help others and be a good parent to her children and grandchildren. When she isn’t at work, June loves to watch movies and spend time with family. Belva started her career with Easterseals Crossroads as an Assistive Technology Trainer in 2004. Belva is currently an Assistive Technology Specialist and is the Team Lead for the Vision / Sensory Team. Belva holds many certificates in Assistive Technologies and Microsoft. 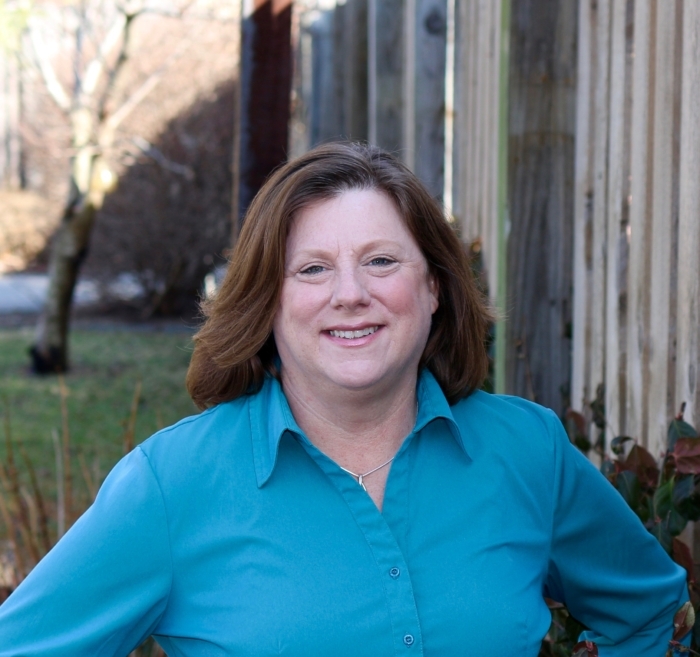 Belva is known throughout the state of Indiana as one of the most talented trainers ever to work in the field of assistive technology. Her ability to present highly technical information in a clear and concise manner is unmatched. Belva uses her passion and expertise in technology to assist individuals with assistive technology. She is known throughout the state for her skill and compassion in encouraging people with different abilities to achieve more than they ever thought they could. Belva’s personal mission is to “be kind and rewind”. She loves inspiring others to gain access to the world in different ways. When she isn’t at work she enjoys her family, friends, movies, baseball, traveling and stock car racing. Craig has been involved in the Assistive Technology (AT) field since 1996 when he started working for a leading Augmentative & Alternative Communication manufacturer (AAC). As an Assistive Technology Specialist he uses this expertise to help people find new ways to communicate. Craig worked extensively with eye tracking for computer access and AAC and has developed iPhone apps for individuals with learning disabilities. Craig enjoys matching technology solutions to an individual’s abilities and their work or school needs so they are able to reach their goals. He is always looking for cutting-edge technology and designing solutions that incorporate new ways of thinking to assist his consumers. He excels at listening to an individual’s story and relating technology that can help them fulfill their story. Craig’s personal mission is to blend the difficulties of the merger of technology and daily living needs in a way that people work naturally. When not at work, he enjoys playing guitar, writing music and his three grandchildren. David worked at Middle Tennessee State University’s Adaptive Technology Department supporting adaptive software and ergonomic devices. This client-services and technical support position was a great fit to join us as an Assistive Technology Specialist. David holds a Bachelor’s in Psychology and has years of technical experience. As an Assistive Technology Specialist he works throughout the state of Indiana helping people with their technology needs. His mission is to equip, educate, and support those interested in assistive technology. It is important to him that everyone has equal access to the world and the independence to live the life they choose. He is great at troubleshooting, circumventing, and finding solutions to problems. David’s personal mission is to always strive to be in a position to help his fellow American. When not at work, he enjoys video games, Frisbee Golf, stand-up comedy and art. Jim joined Easterseals Crossroads after serving as a Counselor and Supervisor at Vocational Rehabilitation Services the past 5 years. 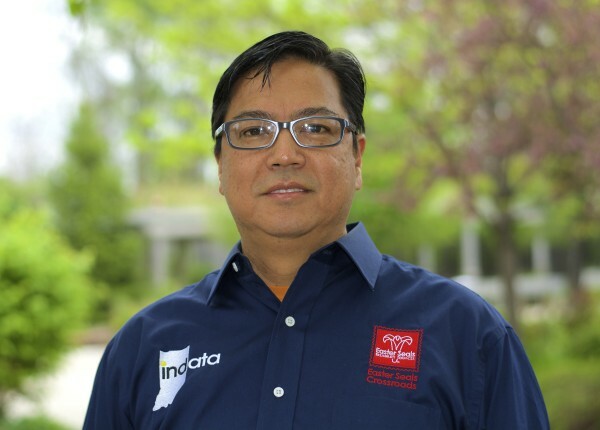 As an Assistive Technology Specialist he serves the northern part of Indiana. He holds a M.A. in Counseling from Liberty University, and a B.S. in Telecommunications from Ball State University. 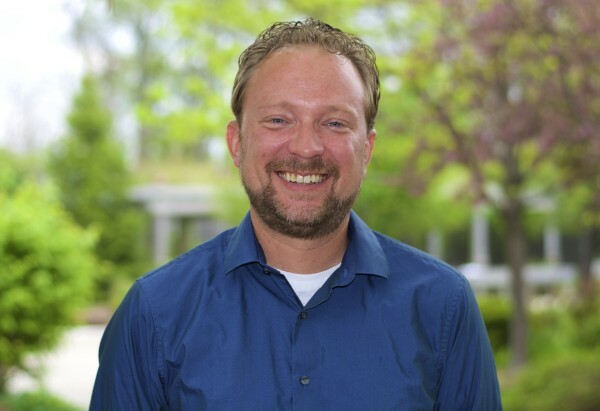 As an Assistive Technology Specialist he spends his time determining assistive technology needs, providing solutions and training people on how to use assistive technology equipment or software. He particularly enjoys the “ah ha” moment when a consumer “gets” an assistive technology that they have been struggling with and watching them use their assistive technology solution to help them with their work and/or life goals. His personal mission is to use what gifts he has to try to help others. When not working, Jim enjoys spending time with his wife, playing the trumpet, and umpiring fast-pitch softball and baseball. Anna is the Assistive Technology Specialist on the OIB Project. Before coming to Easterseals Crossroads, Anna worked for Bosma Enterprises where she focused on the financial operations of Bosma. In that role, she worked with Bosma’s Assistive Technology Team to create and assess software solutions for people who are blind or visually impaired. 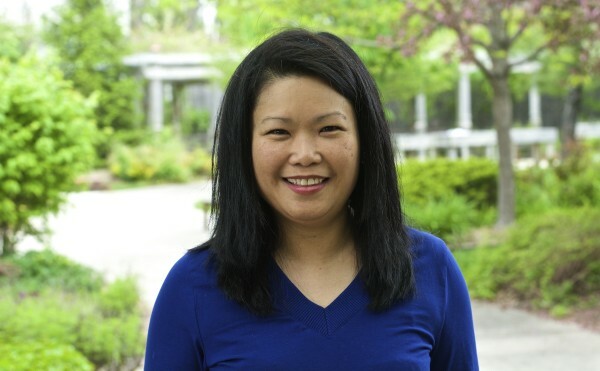 Now as an assistive technology specialist, Anna aims to help Easterseals Crossroads with the mission to improve the lives of people with special needs by promoting inclusion, independence, and dignity. 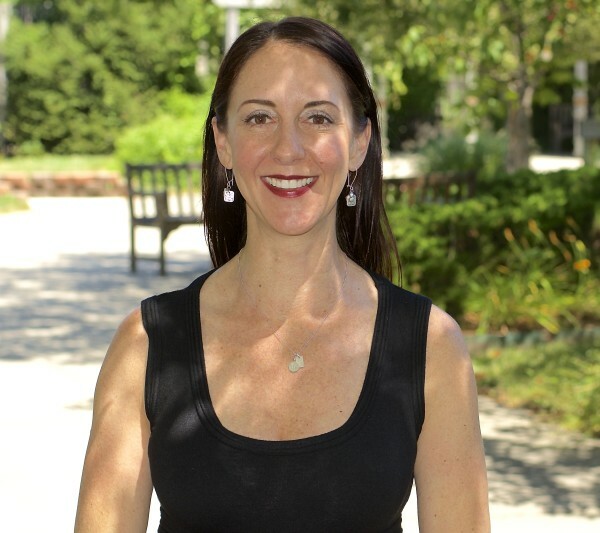 Anna holds a Master of Science degree in Taxation from Bentley University and a Bachelor of Science degree in Management with double-concentrations in Accounting and Information Systems from Boston College. Anna enjoys spending her time training people who are blind or visually impaired to learn how to use assistive technology such as an iPad. Anna is very patient. She is a great listener who takes the time to follow through any situation to provide a positive experience for those she trains. Anna provides training in person and through VOLT, Easterseals’ Virtual On-Line Training platform. Anna’s personal mission is to keep a healthy work and family balance and be the best she can in each of these roles. When she is not working, she enjoys studying languages, and assisting nonprofit organizations with community events through Aspen Impact, Indiana Sports Corporation and Wellington Theatre Arts Group. Nikol worked in the Employment Division at Easterseals Crossroads Rehabilitation Center from 1998 to 2003. She then moved to California and became a stay at home mother. She returned to Indiana to be closer to her family and began working at Easter Seals Crossroads again in 2010 in the Assistive Technology department as the Community Outreach Coordinator. It is her passion to help people and she is often referred to as the “front door of the Assistive Technology department". As the “front door” to the Indata Project, Nikol’s goal is to help other’s recognize that there are assistive technology solutions to every day struggles and help those folks get connected to those resources. She is passionate about understanding a consumer’s needs and educating them about resources and services that will enable them to make well informed decisions. She is a task-master who gets great satisfaction out of helping people find information that will relieve their stress and improve their lives. Nikol holds a bachelor’s degree from Indiana State University in Psychology with a minor in Social Work. Her moto is to be kind and helpful to everyone because you don’t know their story and what they could be going through. Her personal mission is to be the best she can be with all the hats she wears, including the most important, which is mother to two children. When she is not at work, she loves to spend time with family and friends doing any outdoor activities, dancing, traveling, and consuming music, art, and adventures. 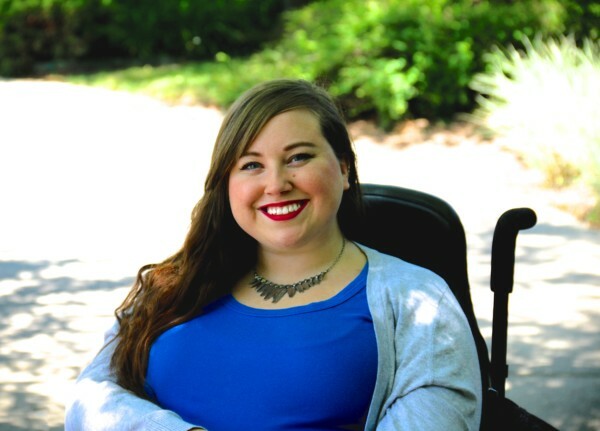 Laura began her career at Easter Seals Crossroads as INDATA’s intern and eventually landed a permanent position as INDATA’s Social Media Content Specialist. 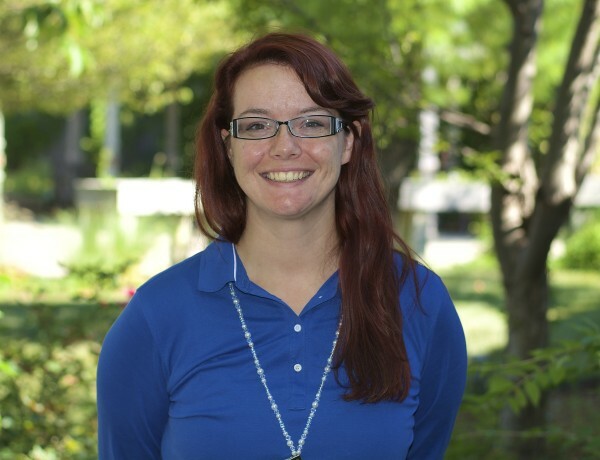 As the Social Media Content Specialist, Laura is responsible for researching and writing the content found on our blog. She is also the host of our Accessibility Minute Podcast, a 60-second podcast covering everything accessibility which airs every Friday. During her college career at Ball State University, Laura studied special education but eventually switched to creative writing. Her background in both special education and writing made her an ideal candidate for becoming our Social Media Content Specialist. Laura’s mission can be summed up in this quote by Benjamin Franklin: “Either write something worth reading or do something worth writing.” When she is not at work, she enjoys painting, visiting museums and cuddling with her American Bulldog named Winnie Eleanor. As the INDATA Equipment Specialist, Justin procures new assistive technology for the loan library and assists members of the community with equipment loans and device demonstrations. Justin is known for his over-the-top pride as a Purdue University Alumna. During his undergraduate career at Purdue University, he received a Bachelor’s of Science in Human Services with a minor in Organizational Leadership & Supervision. Justin’s personal mission is to provide at least one person a day with a smile and a hearty laugh. Outside of work, you will most likely find Justin enjoying the latest restaurant or brewery and enjoying live, local music. He also enjoys watching his favorite professional sports teams (Bears, Bulls, Blackhawks), cycling on the Monon Trail, and traveling around the world. 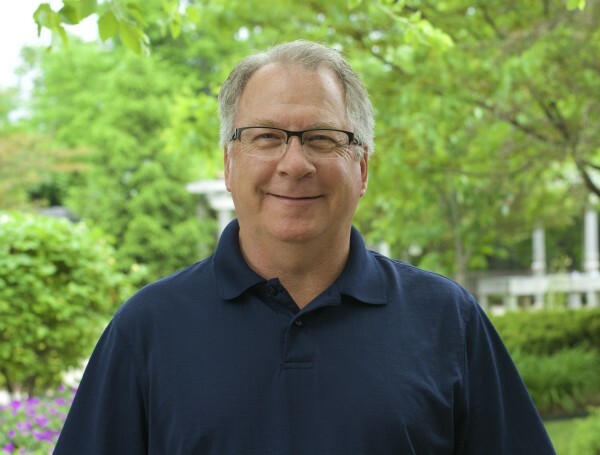 Steve’s career started in 1978 at Snap On Tools, a manufacturer of hardware products. He left the company in 1980 and joined the Marines. He was stationed in California for two years before he received an honorable discharge. Steve then went back to Snap On Tools for another two years before he decided to join the Army National Guard, where he served on weekends while living and working in Indiana. He now works as an Equipment Assistant in Indata Project’s Equipment Loan Library. Steve works closely with the Equipment Lending Specialist to assure that devices get loaned to consumers in a timely manner. He is responsible for taking care of and organizing the equipment. He prides himself on doing his job to the best of his ability. Steve graduated from John Marshall High School and then served in the Marines for 4 years. Steve’s personal mission is to do the best job he can to help others who need assistive technology. When he is not working, he loves to spend time with his grandkids and also likes to play ping pong and pool. Alvin was a volunteer with the Assistive Technology Center for quite some time before becoming an employee. His education, background and previous experience working in information technology, has made him a valuable employee in the ATC department. He now is the ReUse Coordinator who oversees “The Depot” equipment reuse program. He is passionate about getting donated computers into the hands of folks with disabilities that may not otherwise be able to afford a computer. Alvin received his Bachelors of Science in Computer Science at the University of the Philippines and a graduate certificate in nonprofit management at IUPUI’s School of Public and Environmental Affairs. Alvin’s personal mission is to take over the world with kindness… or something with more modest scope. When he is not at work, Alvin loves to eat. He is the “foodie” of our team and is particularly nuts about coconuts and a self-professed “coconut expert.” On other days, he enjoys spending time with family, maybe on the courts or in his yard. Tracy worked in the Wayne Township school district before joining our team at Easterseals Crossroads as a ReUse Technician. As a ReUse Technician, she is responsible for getting donated computers in working condition to be given out to people with disabilities in the state of Indiana. When working in the school district, she spent her time helping students with math and reading as a teacher's assistant. She also continues to volunteer at MSD Wayne Township in their HOST program, which is a program designed to help students become better readers. 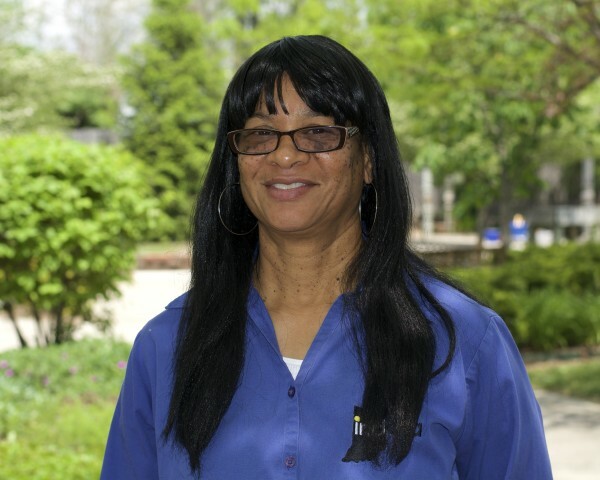 Tracy completed her associate degree in education at Ivy Tech in May 2015 and plans to return to school to obtain a degree in Information Technology. Her personal mission is to lead by example and she enjoys helping people in need. When she is not working, she enjoys spending time with her family playing games. She and her husband also enjoy listening to Bachata music and dancing.